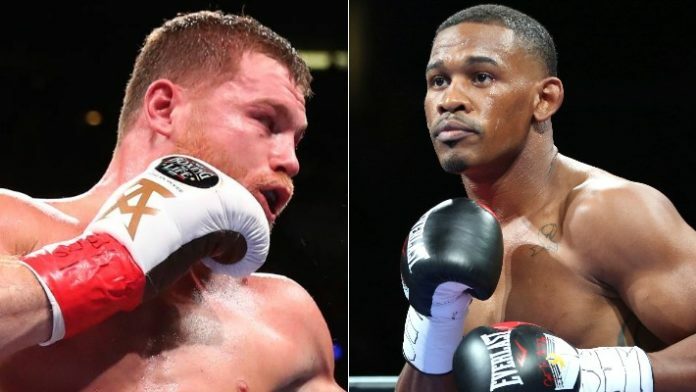 A venue has been set for Canelo Alvarez and Daniel Jacobs' middleweight clash in May. The venue is set for Canelo Alvarez and Daniel Jacobs’ middleweight title unification bout. Alvarez currently reigns as the WBC, WBA, Lineal and Ring Magazine Middleweight World Champion. He’ll put his titles on the line against Jacobs’ IBF middleweight title on May 4th during Cinco De Mayo weekend. It has officially been announced that the fight will go down from the T-Mobiel Arena in Las Vegas, Nevada. “I’m excited to return to T-Mobile Arena for a fifth time,” said Canelo Alvarez. “I inaugurated this arena to boxing at an international level, and it’s a place where I have had some of my biggest fights. This fight against Daniel Jacobs will not be the exception. “I am ready to capture another world title in front of a packed house, listening to the unconditional support of the fans in attendance, and also for those who will watch this fight through the screens of a huge platform in DAZN. “I’m thrilled that this huge night has landed in Las Vegas. I made my debut there in 2007, but I haven’t boxed there for nearly nine years. Scheduling the biggest fight of my career at T-Mobile Arena is the perfect occasion to return to the bright lights and shine on a massive stage. What do you think about Alvarez vs. Jacobs going down from the T-Mobile Arena?